Mismanagement of a $360k budget, conflicts of interest, a failed election, and thousands of dollars in stolen equipment. It’s the Fall of 2016, in the dungeons of UTSC, to a barren SW143, 3-term Fusion Radio President Ramisa Tasfia, tenured studio Manager Marc Laurin, and executives members of Fusion Radio present a proposal to increase the student levy fee for Fusion Radio. The Underground was able to interview Tasfia who despite graduating, remains on the Fusion Radio payroll as Operations Manager. She says “[I] can’t just leave” considering the current state of the station. Based on a multi-month investigation, the Underground has uncovered the implosion of Fusion Radio, exposing the fatal flaw of what an apathetic student body, and an outdated system can bring. The referendum would require a 147% increase from $5.35 to $13.25 per semester, inflating Fusion’s budget from $170k to $360k. After menial marketing attempts of posters, a few facebook posts, and a pathetic but permissible (according to by-laws) voter turnout of 59 votes - the referendum passed. In 2017, the increased fee was deducted for the first time from all full-time undergraduates. To put that into perspective, approximately 0.45% of students decided the fate of 13 000+ student wallets. What’s most frightening about the budget isn’t there was an increase of more than 1400% in Marketing Expenses, or the $20,000 that was allotted to pay a non-existent rent to the SCSU, but that Ramisa Tasfia, the 3-year President, and current Operations Manager of Fusion Radio claimed to have never seen the below document before. As a result, neither had Alauddin Mamun, the Principal Accountant responsible for an audit of Fusion Radio. Who knew that facebook posts were this expensive? A few quick searches into the “Accepted UTSC” facebook pages revealed minimal marketing surrounding events, scholarships, elections, and Fusion’s services. Where did the money go? The poster on the Fusion website advertising the program hasn’t been updated since the 2015-2016 year as well - this is troubling considering that the money allotted has been projected to increase every single year in the budget. Once again, where did the money go? Fusion only helped with 4-6 events during the 2017-2018 year, and there is no proof of financial contribution to each of the events aside from the Hush Dance party. Even then. 30k can provide valuable seed money to multiple small engaging events to uplift the general mood of campus life. Students were not aware of this alleged allocation - it was on Fusion to market what they could do for students - which even with a 1437% increase in marketing funds, Fusion was unable to do. When the Reward Program ran in 2015-2016, Fusion only gave out $1,325. This is peculiar considering that the 1st prize was $1000, the 2nd/3rd $500 each, 4th/5th $250 each, and “consolations” received between $25-$100. This means that if at minimum, only a 1st and 2nd place winner were announced, the total would be at least $1500, which is clearly not indicated. This is particularly troubling considering any amount of scholarship money can greatly improve the academic lives of students in need. Fusion Radio hosted a small dance-party in the student centre during Frosh 2017. Has not been updated properly since 2015-2016 year aside from a few blog-style posts. Equipment? Uber? I wish the Underground paid for my Presto pass…. The number of staff stayed consistent at Fusion Radio between the 2016-2017 and 2017-2018, yet the payroll increased exponentially. A continuation of the flat increase trend; what’s worse is that student radio hosts are not paid for their time. Indicating a payroll increase that was simply meant to benefit Fusion staff. SCSU operations coordinator Jeremy Wills confirmed that no student societies are charged rent. Numerous radio show hosts volunteer at Fusion Radio, however, Tasfia confirmed that volunteers are not reimbursed with food. What most of this seems to confirm, is that Fusion Radio went about their projections with no real forecasting-process or thought behind their increases; and moreover, in the following 2017-2018, most of those increases - at least ones outside of wages, that benefit students directly - failed to become reality. 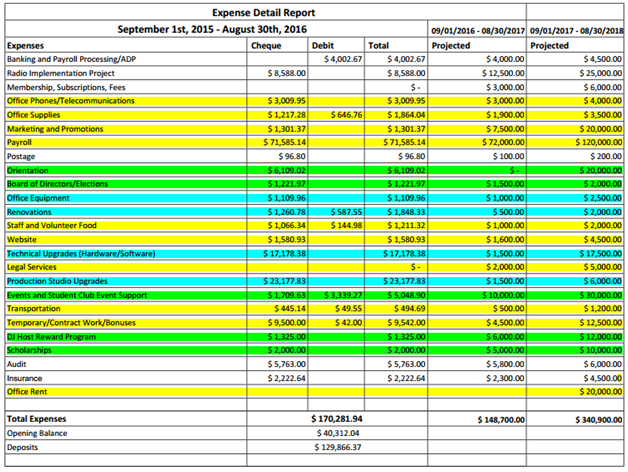 Fusion’s failure to provide Mamun with the proposed budget isn’t surprising considering the exuberant increases. When asked if the budget lines were adequately met Mamun stated simply; “I’m sure [they are] not”. Mamun was hesitant to answer direct questions, but provided an example of the mismanagement as the 30k that was budgeted for Student Clubs and Events, during the 2017-2018 year, Fusion only spent 2k, admitting that 28k was unaccounted for. To put this into perspective, that is just over 1000 student contributions to Fusion Radio. That’s enough students to pack AC223 twice over. Fusion only helped with minimal events throughout the 2017-2018 year including Hack the Valley, and the Hush Dance party. Despite having a 20k marketing budget, these events were marketed through a couple facebook page shares to graduating class Facebook groups with memberships between 1000-3000 students. This may seem like a large reach, but any member of the groups can tell you that posts are easily swept away in a stream of content - especially if they are made at peak hours. UTSC student clubs are not short of ideas, they are short of funds. While fighting for scraps during SCSU and DSL club funding rounds, Fusion Radio had lied to the University claiming that they would also be a body to provide similar support to students. This was money that was pooled by students, and now raises an alarming question. Student societies like SCSU and Fusion are allowed to have Board of Directors, and Staff. The board decides the direction of the society through meetings, while the staff handles the day to day operation of the actual “radio station”. During the 2016-2017 year, staff also played the role of the Board of Directors - a clear and direct violation of conflict of interest. Essentially, imagine if the SCSU Executives were their own Board of Directors. Stated in Fusion’s bylaws, no one on the board is permitted to receive compensation. But because these same individuals all occupied high paying staff roles, they received money anyways. The board is supposed to hold the staff accountable, by approving actions of hiring, firing and discipline, but when the board IS the staff – there is no accountability. Did you know that Fusion Radio had an election recently to elect a new board? Right in the middle of exam period? Choosing to hold votes during times of traditionally low student engagement (around midterms and finals) is not uncharacteristic of Fusion Radio considering their levy increase vote was also casted in the thick of midterms. But if the student society truly wants to move forward in a way that is democratic, transparent and honest, opening the doors and applications to fresh members of the community is a way to bring unique perspectives into an inefficient organization. 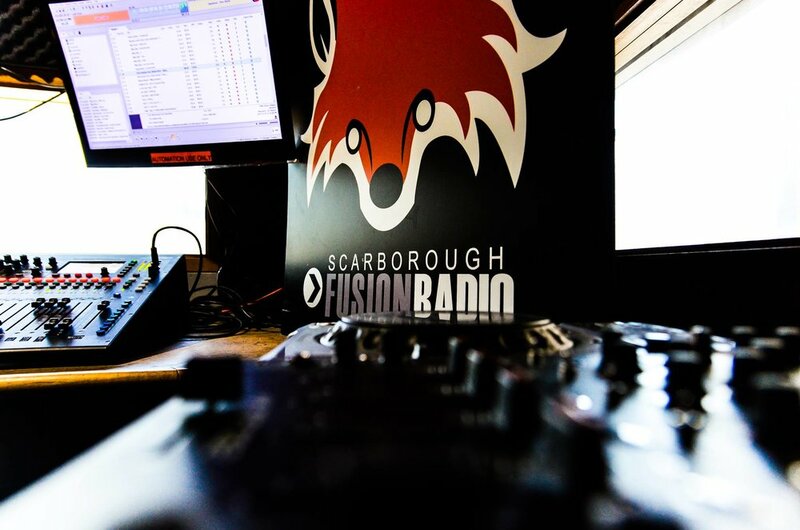 Fusion Radio is under investigation for mismanagement of funds, as well as tens of thousands of dollars in stolen equipment including cameras, lenses, hard drives and servers. Here’s the realization of all this information and analysis: this “proposed” budget, presented to University stakeholders, and ultimately the students, to say “Hey, support our levy, here is why” was fabricated, and the fact that the President, who’s been there for three years, didn’t know, is scary. The levy proposal was not made on calculated financial decisions; as none of the student-benefiting items materialized in later years. Further, it means that nobody on the University board or any of the University stakeholders (such as SCSU Executives) had (enough) of an understanding of Fusion Radio to call foul; or it means, that those stakeholders (i.e. SCSU Executives) simply chose to not care about the wide discrepancies. Moreover, it represents a need for a minimum quorum rule for votes on referendums that concern levy increases/decreases. This article has been a multi-month investigation that often resulted in hostile-like situations and encounters. The aim of the Underground is not to point fingers and draw blame, rather it is to inform the student body, and allow them to make decisions as they see fit; whether or not that calls for a levy decrease, or greater investigation of Fusion Radio, is for the students to determine.